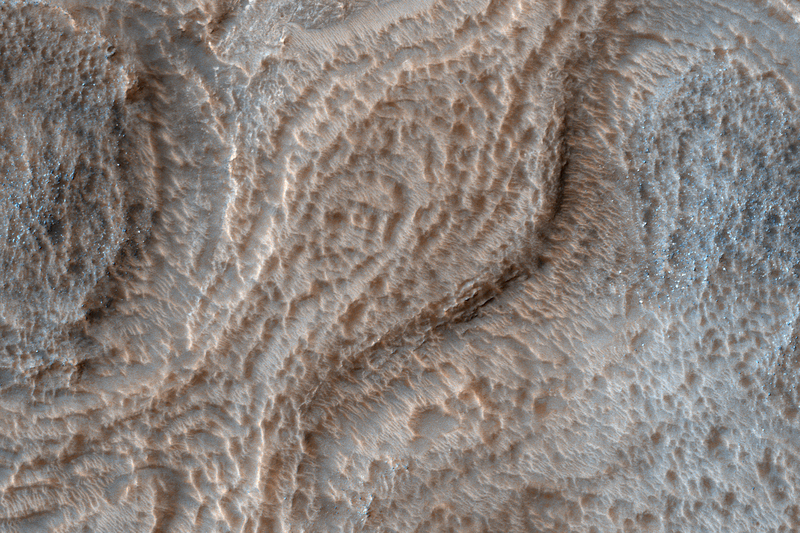 Hellas is an ancient impact structure and is the deepest and broadest enclosed basin on Mars. 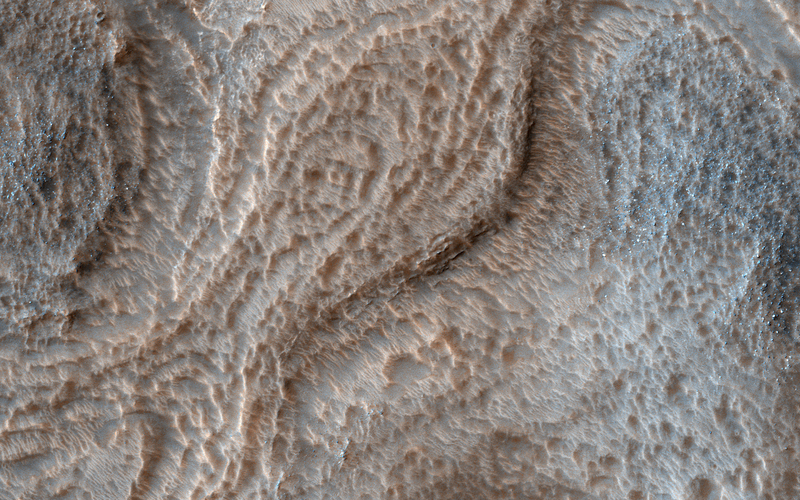 It measures about 2,300 kilometers across and the floor of the basin, Hellas Planitia, contains the lowest elevations on Mars. 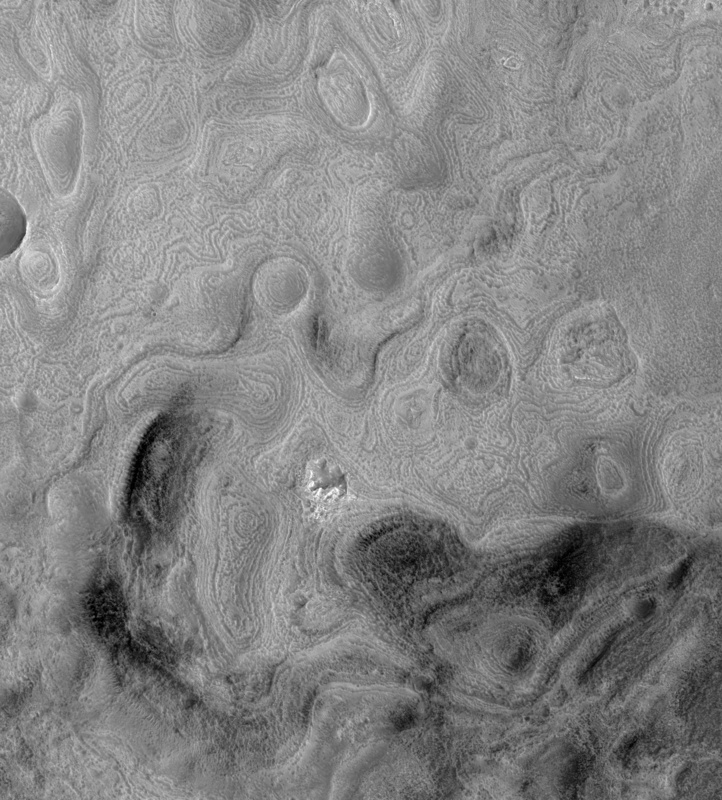 The Hellas region can often be difficult to view from orbit due to seasonal frost, water-ice clouds and dust storms, yet this region is intriguing because of its diverse, and oftentimes bizarre, landforms. 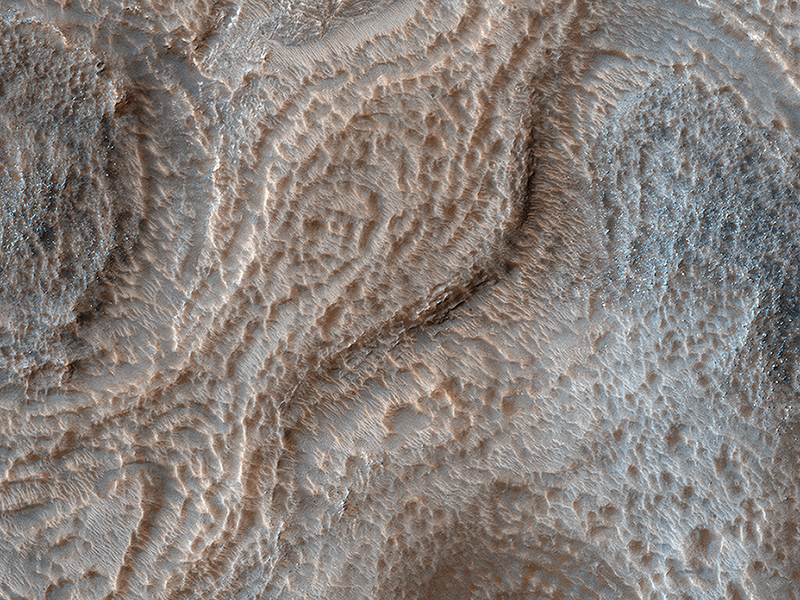 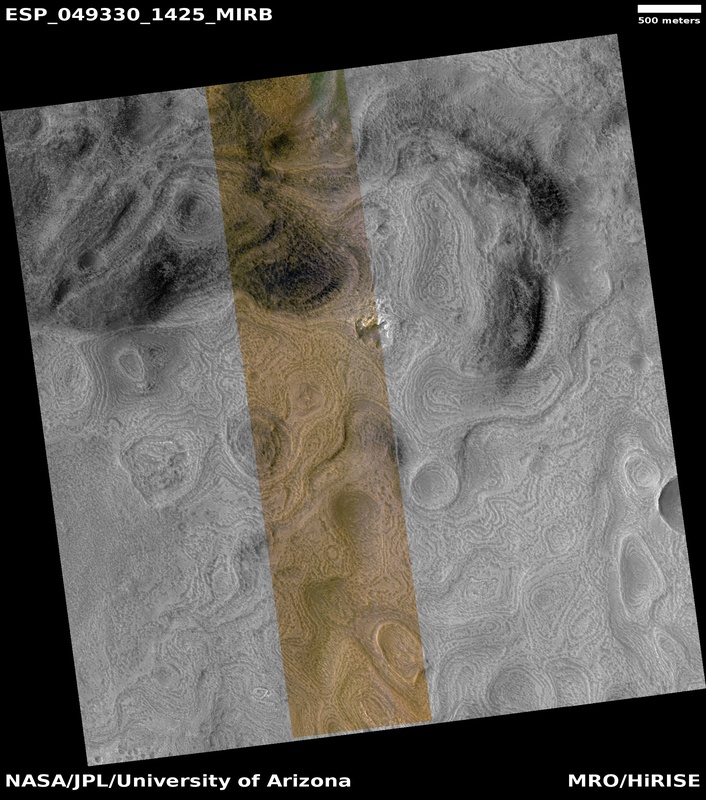 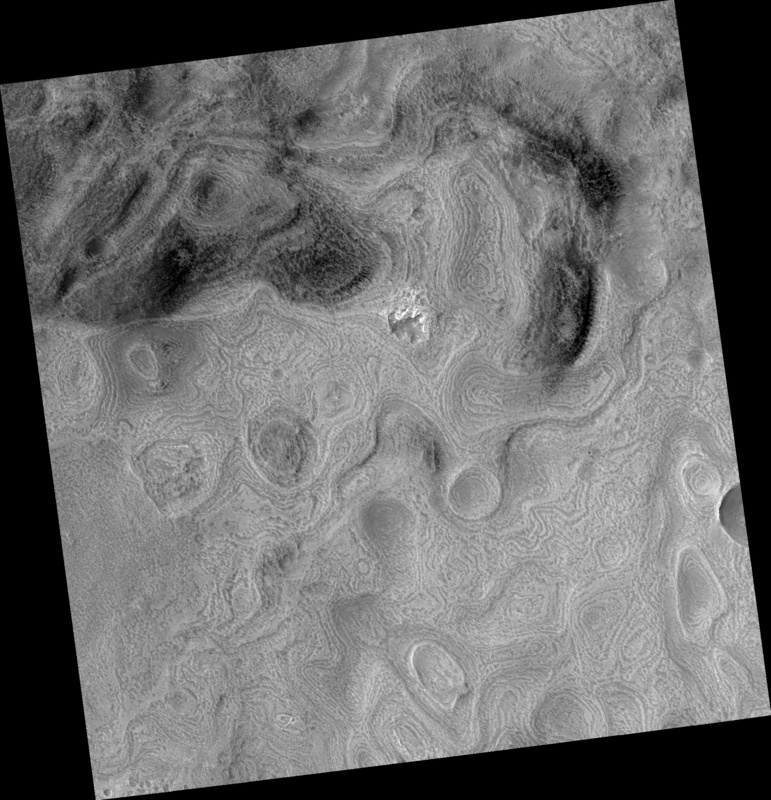 This image from eastern Hellas Planitia shows some of the unusual features on the basin floor. 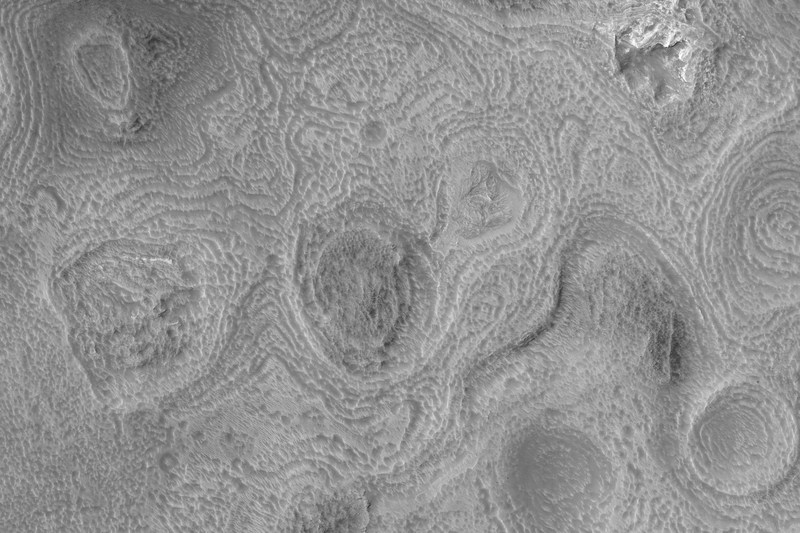 These relatively flat-lying “cells” appear to have concentric layers or bands, similar to a honeycomb. This “honeycomb” terrain exists elsewhere in Hellas, but the geologic process responsible for creating these features remains unresolved.